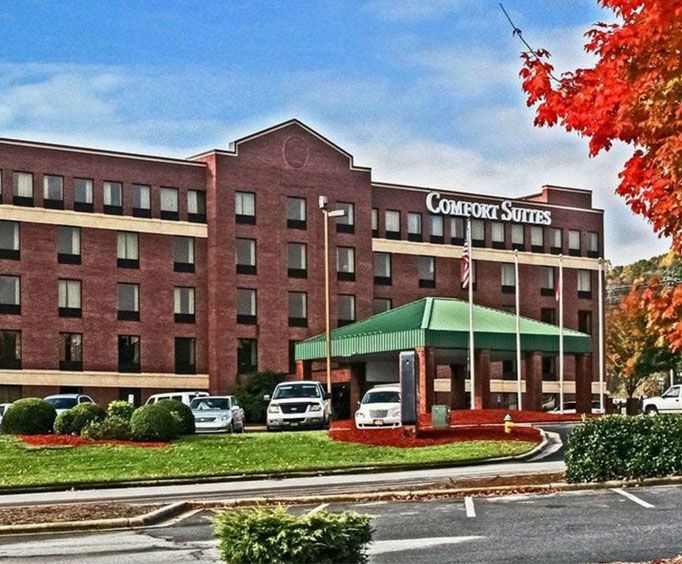 The Comfort Suites Biltmore Square Mall is just off of Interstate 26, and is a great choice when visiting Asheville. Amenities here include a free hot breakfast, a heated outdoor pool, a fitness center, and a business center. 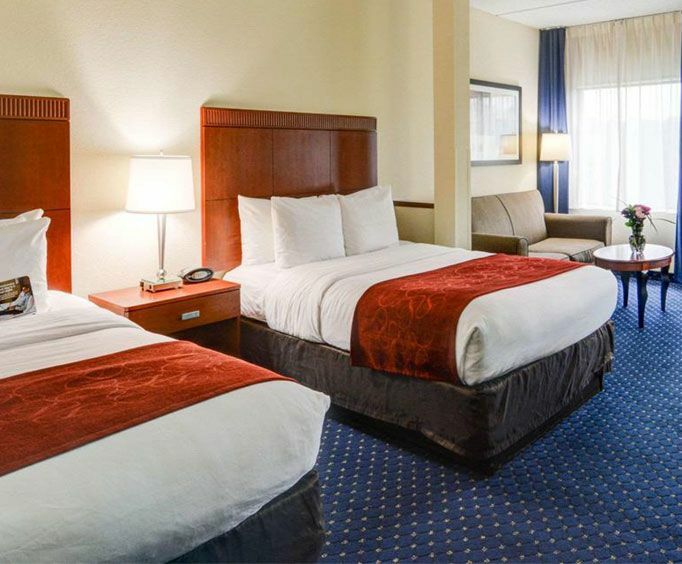 This hotel is just minutes away from Interstate 40, and the scenic Blue Ridge Parkway. During warmer weather, the outdoor pool that's located just off the side of the hotel has a very inviting feel to it, and you'll love to take a dip in its crystal clear waters. If you're coming here on business, the business center offers everything you'll need to make your stay both productive and profitable. If you feel like working out, the fitness center can be found on the ground floor. Open 24/7, they have all the equipment you'll need to stay healthy and strong. And after you've had a good night's sleep in one of the many well-furnished rooms, you can look forward to a hot breakfast buffet with bacon, eggs, biscuits and gravy, waffles, fresh fruit in season, bagels, pastries, and coffee, just to name a few of their incredibly delicious selections. 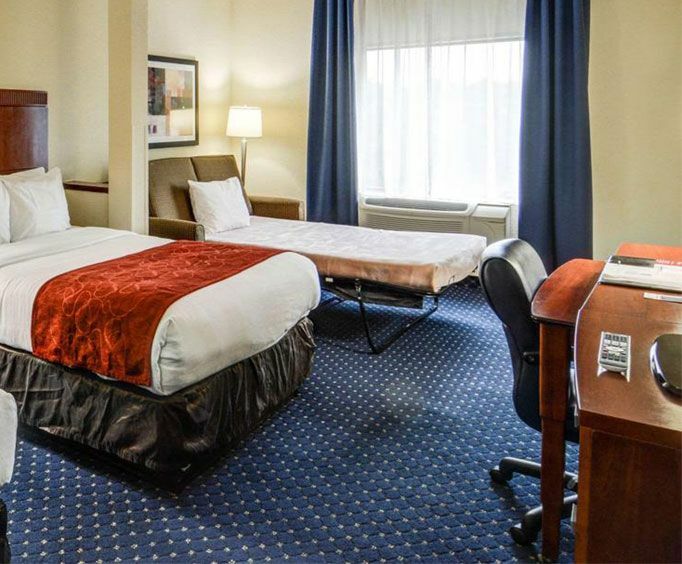 Every room is equipped with 40' LCD HDTVs with cable, free local calls, free high-speed internet, a coffee maker, fridge, microwave, and an iron/ironing board. Jacuzzi rooms are also an available option. Harbor Inn Seafood and Biltmore Square Mall are both next door, REI Asheville and P.F. Chang's China Bistro are both within 2 miles, and McCormick Field is within 4 miles.